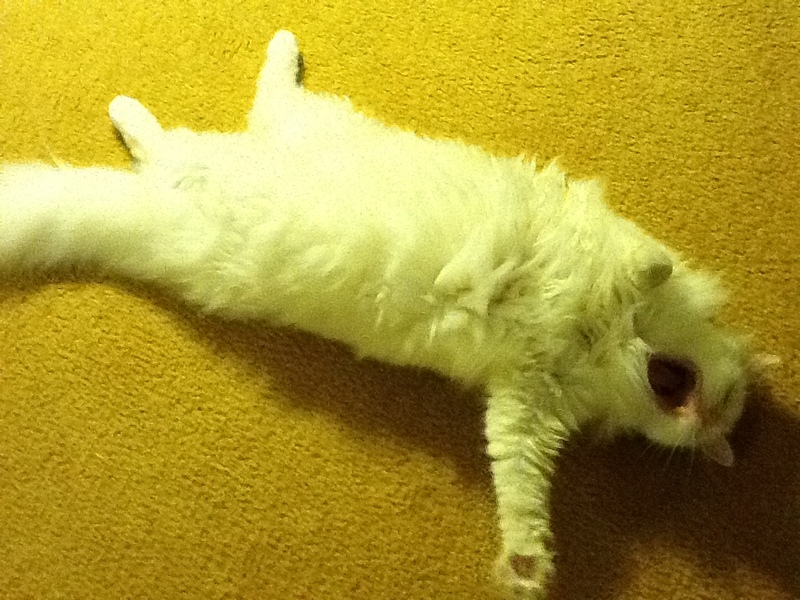 I have often told my friends that my cat, Kokoro (which in Japanese means heart or mind), screams at me for things. Attention, food mostly. But also just when he feels like it, he’ll just open his maw as wide as possible and let out a Tina Turner-like Big Wheels Turning-like note. Everyone says, Yeah, yeah, whatever. He’s just a cat.